A holiday feast for the pets! You can only use the coupon once per household, for a maximum savings of up to $50, but will I be ordering a giant bag of food for my tiny, ridiculous dogs and then probably slapping a ribbon on it before Christmas? Yes. Yes, I will. Do I get a little too excited when there’s a sale on dog toys? It’s possible, yes. My dogs are small but strong chewers, and while we’ve been lucky enough not to have to deal with destructive chewing around the house for the most part (ahem; let us not discuss the time Duncan discovered we had a box of leftover flooring under our bed…), they do a lot better in general when we have plenty of chew toys around. One of today’s spotlighted deals at Amazon is up to 40% off select Nylabone toys and treats, and you’d better believe I’m stocking up. I mean, do the bones get all slobbery and disgusting as the dogs wear them down? Yeah. They’re not my favorite thing to step on in the night (or find on my pillow, Licorice), but they keep them happy. This post is sponsored by Savings.com. As always, all opinions are my own. I don’t think it’s any secret that I have a small Kohls shopping addiction. Hey, as addictions go, it’s hardly even a vice. They carry just about anything I might want for my family or my home, plus between the deals and coupons and the Kohls Cash, I’m saving a bundle. Today (Sunday, June 19th, 2016; happy Father’s Day!) is about to get a whole lot better for you and for me, because Kohls is doing a one-day-only mystery savings event, and with the help of Savings.com I’m here to help you justify your shopping. All you have to do is visit the mystery coupon generator and take it from there. There are 30,000 unique codes available: 7,500 people will receive 20% off, 19,500 people will receive 30% off, and 3,000 lucky shoppers will receive 40% off. The only catch is that the codes are only good today—they expire at 11:59 Central Time tonight. Now, you can use your code to buy absolutely anything you want on the site, but I have a couple of suggestions because 1) I always have suggestions and 2) you know the only thing I like better than a discount is stacking discounts for a crazy good deal. 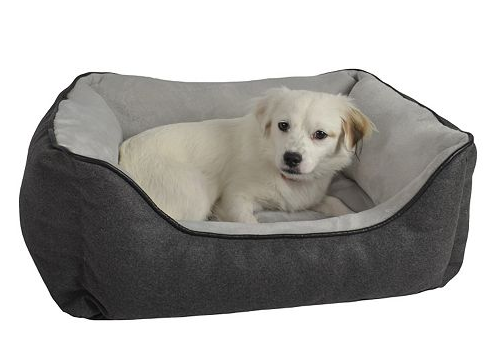 First suggestion: I actually bought this Pet Spaces Cuddler bed a couple of weeks ago because it was marked so far down (c’mon, $10 before coupons, from $40? no-brainer), and also because my the last time I tried to buy a new bed for Duncan (because his is in tatters), Licorice promptly commandeered it because she’s a jerk. That bed she stole was kind of expensive, too, because she’s a jerk with excellent taste. So I ordered this one, instead, mostly because it was ridiculously cheap (I had a 30% off coupon, so it was under $8) and it is now the nicest dog bed we own—super plush and comfy, and now at night when I tell Duncan to go to bed, he doesn’t even bother begging to get into bed with us, he goes straight to his bed and curls up. Magic! I’m buying two more of these, just to have as backups. Or maybe I’ll buy a bunch and give some to the rescue where we got Licorice. At this price (and with the extra savings, too), I can be generous. Second suggestion: I know I’ve hardly mentioned (hahahahaaaaaaa) that my oldest is leaving for college soon, but we’ve started looking into closet organization stuff because she will be sharing a closet with her roommate. 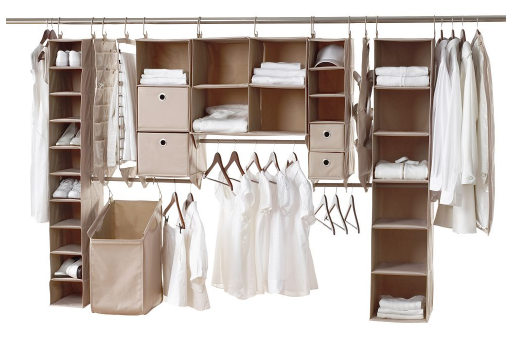 Enter the neatfreak closetMax system—pretty much anything she could possibly want, nice and sturdy, and prices that don’t make me choke. (We’ve already purchased the 6-shelf organizer, but I think with the coupon I may go back for the 4-cubby organizer with hanging bar. Girlfriend has a lot of stuff.) Or… maybe I just start shopping for my other kid. Sure, I have a year, but… a deal’s a deal…. In conclusion, I shop too much at Kohls, and if you do, too, go grab your coupon and buy yourself (or your pet, or your kid) something pretty. Right now they have this 27-pound pail of 24/7 Performance Tidy Cats Clumping Litter available for just $9.99 shipped (if you have Prime). I’m seeing an average price on this of around $26, so that seems like a pretty good deal. Of course, as a dog person, I do feel the need to point out that a better deal is an animal that doesn’t poop in a box inside, but whatever. Details! Perhaps you, like me, are spending a lot of time watching the Amazon Lightning Deals these days. It should go without saying that you always double-check a deal before you jump on it, but I’m saying it, anyway. For example: I’ve been wanting a hands-free leash for one of my dogs. Right now, this extra-long hands-free leash is on a Lightning Deal for $16.99 (down from $23.99). Hmmmm. I don’t really need a long one, though. And my product page came up with an ad for this regular hands-free leash (with similar excellent reviews) available for just $9.99. That’s more my style, and a quick price check reveals that’s a great price. In other words: Compare. Read. Check. Then go get your deals. This post is sponsored by Jones Natural Chews (warning: site has sound), but as always, all opinions are my own. 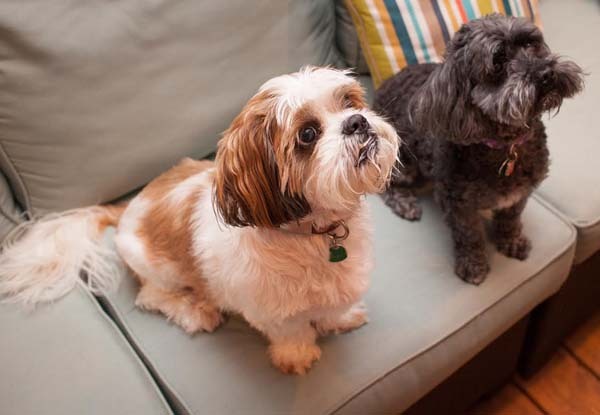 Every day this week, Petco is offering one incredible online deal for one day only. It’s worth keeping an eye on if you’ve got furbabies (or, um, other kinds of pets, I guess?) to spoil. Today’s deal: Get 40% off dog beds with coupon code cdogbed40 at checkout. I recently bought a second bed for our dog-who-likes-dog-beds to have a dedicated spot in our family room. Our dog-who-never-likes-dog-beds promptly took possession of it, probably just to be a jerk to the other dog. Part of me is tempted to buy another one, so they both have beds in there, but rationally I know that will only lead to neither of them deigning to touch either bed…. Do you have a hide-a-toy type toy for your dogs? There are multiple versions—and it’s true that Licorice believes stuffed toys exist to be disemboweled, sure—but I love this Outward Hound Hide A Squirrel Plush Dog Toy set, especially when it’s down to just $7.99, like now. You get the tree trunk and 3 plush, squeaky squirrels. That means I can give one squirrel to Licorice to destroy while Duncan tries to figure out how to get the other two out of the trunk. Today at PetSmart, everything ships for free, plus tons of stuff is up to 50% off. One of my dogs feels the need to perform emergency squeakerectomies on every toy she encounters, so I count on deals like this one to keep her happy without breaking the bank. Er, I mean, I tell Santa about sales like this one. Obviously. Cinco de Mayo for the pets! I absolutely hate that these promos always seem to exclude food—because what do I spend the most money on for my dogs? Food!—but today at Petco they’re taking 25% off plenty of stuff, automatically, plus giving you free shipping on $49+. If you need other stuff for your pet, this could be a useful sale. If it isn’t, well, go back to celebrating today with tacos, the way God intended. Comments Off on Cinco de Mayo for the pets!